This banner is 36x12 inches (915x305mm) and is printed on high quality Fuji Crystal Archive photo paper. 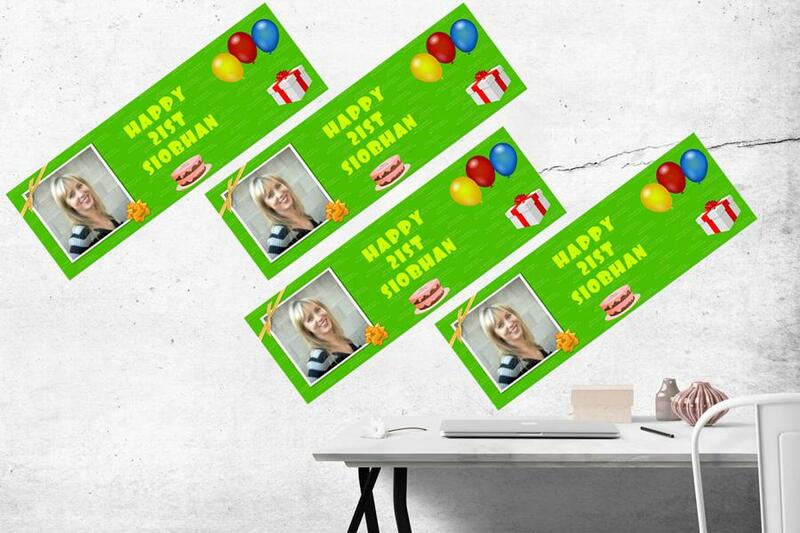 You can create your own design or use our templates, add photos, text and lots more. 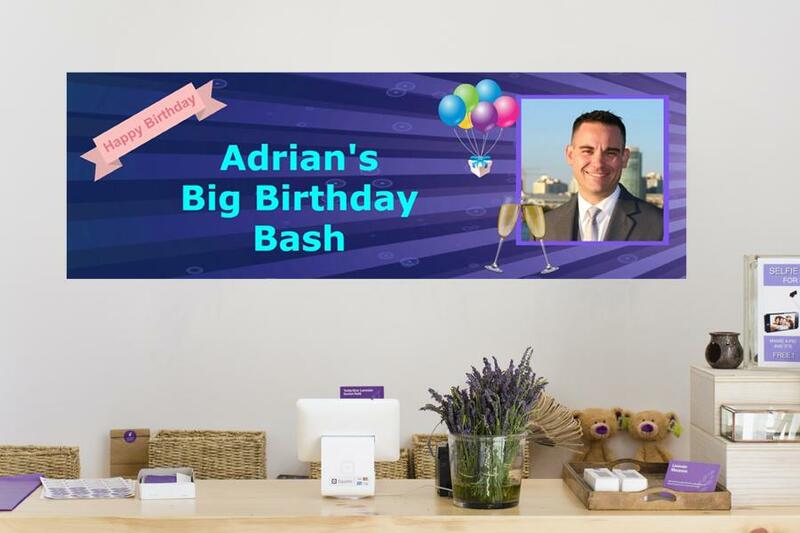 Add a personal touch to the celebrations with a large 36x12 inch (915x305mm) custom made Birthday banner. Add your own photos and text if you feel creative or use our templates. The mini banners come in a set of 4 , all the same, and are 24x8 inch (609x203mm). They are ideal for a party or event where they can be dotted around the room. So easy to create. 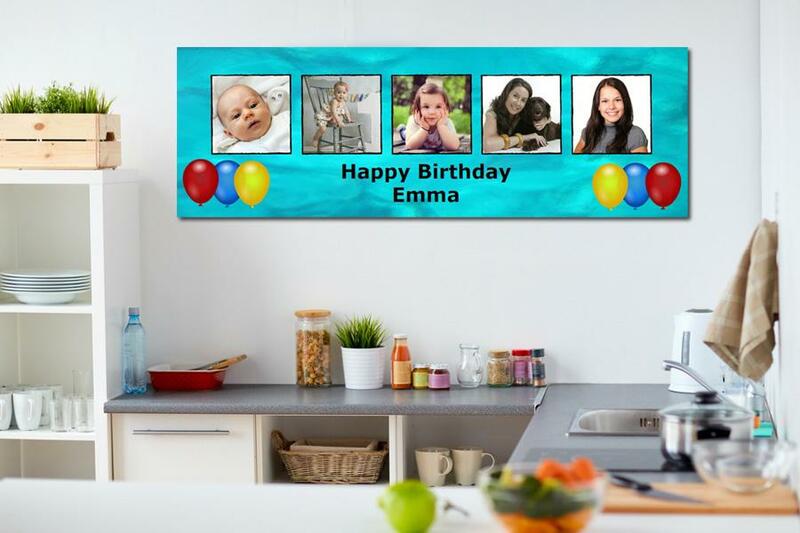 Create a personalised banner for your special event. 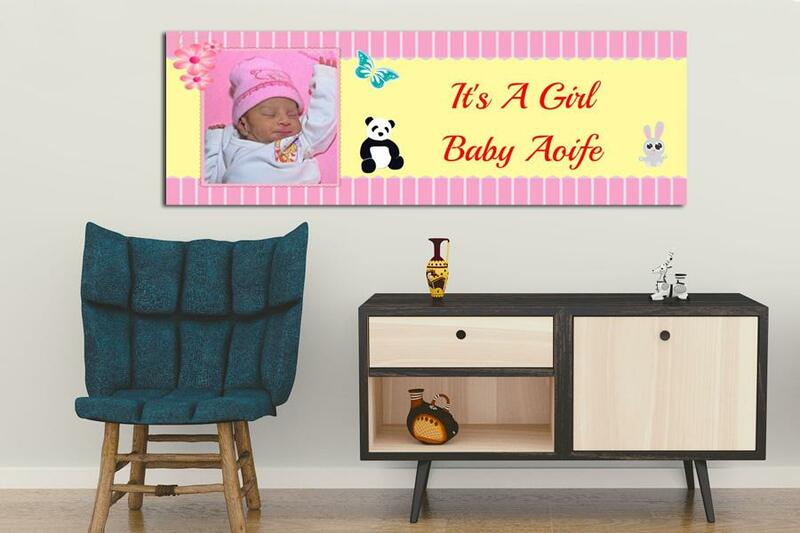 Ideal for new baby, christening, Godparent present, 1st Holy and lots more. So easy to create and great fun.